After a brilliant recent performance in Liverpool, McKenna is back, and Getintothis’ Paul Riley is looking forward to round two. 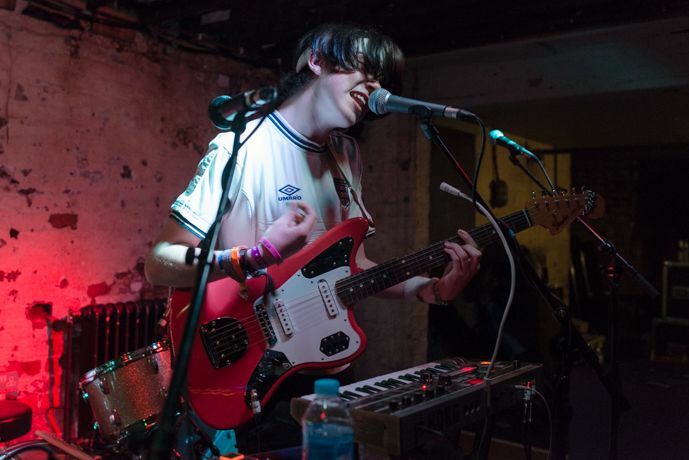 It is slightly unusual for an out-of-town band to visit Liverpool twice in the space of a month, and playing the same venue, no less, but in the case of Declan McKenna there is very little that isn’t unusual. The music press have gone a little bonkers over this 16 year old, and while the cynic may instantly scoff at the hyperbole and the gushing praise, Getintothis can quite confidently say that this is one case in which the buzz is justified. He has won Glastonbury‘s Emerging Talent competition and has received plaudits from the world and his mate, but we won’t bore you by merely repeating what has already been said. If you want to know what the world at large thinks of Mr McKenna, there are plenty of search engines out there (some of them even pay their taxes properly). Suffice to say that his recent Studio 2 performance blew our collective socks off. His songs are incredibly assured and arranged with a precision and depth of musical sensitivity that belies his tender age. Even if the band plays the exact same set, this writer will be there with bells on, as it won’t be long before this particular act is playing much bigger venues. Don’t miss it. Declan McKenna plays Studio 2 in support of Billy Bibby (ex-Catfish and the Bottlemen) Feb 11. Tickets onsale now.